Glad you had a good night, and thank you for making Leisa's birthday special for her...you are a good friend. How could your brother NOT love the canvas, it's awesome beyond words! The blog looks amazing Jules! Love that gorgeous photo of you and Leisa!!! Wow, that is a wonderful present for your brother, I'll have to remember that idea! Looks like a lot of fun! Your layout is stunning and the canvas is such an amazing gift! Oh, what a treat that canvas is. 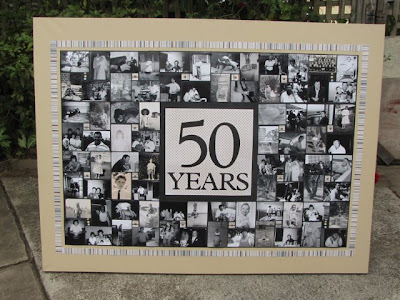 What an awesome idea for such a special milestone. It will definately be treasured.